Patterned fabric valance - by Exciting Windows! 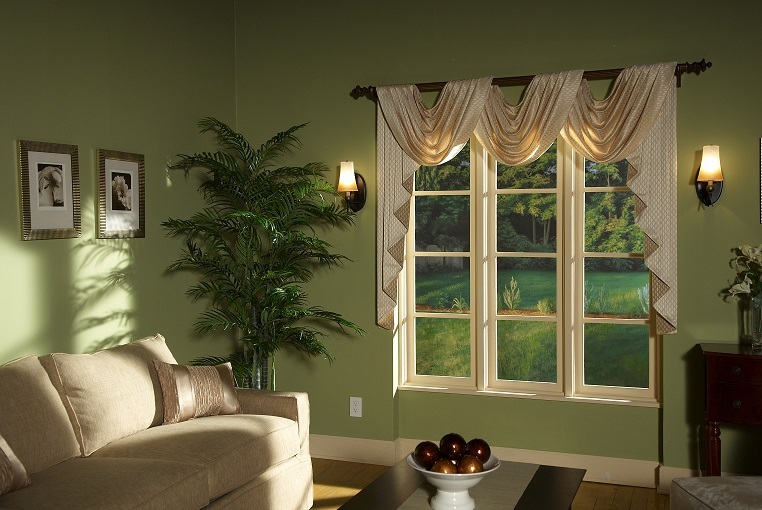 The soft, flowing style of this valance will add beauty and character to your home. The contrast of light fabric with the coordination of decorative hardware will complement other decor and fixtures. This valance features subtle patterning, with the opposite side in a darker hue, allowing for the pleat to add dimension and style. Let us help you personalize your home today!